Celitron 75 litre capacity round chamber steriliser with internal chamber measurements of 400mm diameter and 700mm in length. 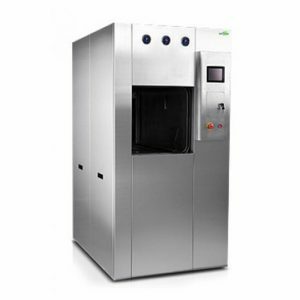 A-456 Celitron 175 litre capacity steriliser with internal chamber measurements of 500mm square and 700mm in depth. A-6612 Celitron 610 litre capacity steriliser with a square pass through chamber measuring 700mm (width) x 1250mm (depth) x 700mm (height).